Grace (﻿v.﻿ ﻿6a﻿) is the antecedent of which. It is God’s grace (undeserved love and goodness) that He freely bestowed on us in the Beloved, and because we are in Him we have redemption. Jesus Christ is our Redeemer from sin, the Beloved (the word indicates the One who is in the state of being loved by God) who Himself paid the price for our release from sin and death. Because we now belong to Christ, by faith made one with Him and placed in His Body, we are now acceptable to God. From the beginning of Jesus’ ministry the Father declared Him to be “﻿My beloved Son﻿” (﻿Matt. 3:17﻿). And because we have believed in Him, “﻿He delivered us from the domain of darkness, and transferred us to the kingdom of His beloved Son﻿” (﻿Col. 1:13﻿). Because we are now in the Beloved, we, too, are “﻿beloved of God﻿” (﻿Rom. 1:7﻿). Only Jesus Christ has the inherent right to all the goodness of God. But because we are identified with Him by faith, that goodness is now also our goodness. Because our Savior and Lord is the Beloved of the Father and possesses all the goodness of the Father, we are also the beloved of the Father and possess all His goodness. Jesus said, “﻿He who has My commandments and keeps them, he it is who loves Me; and he who loves Me shall be loved by My Father﻿” (﻿John 14:21﻿). The Father now loves us as He loves Christ and wants us to have everything that Christ has. 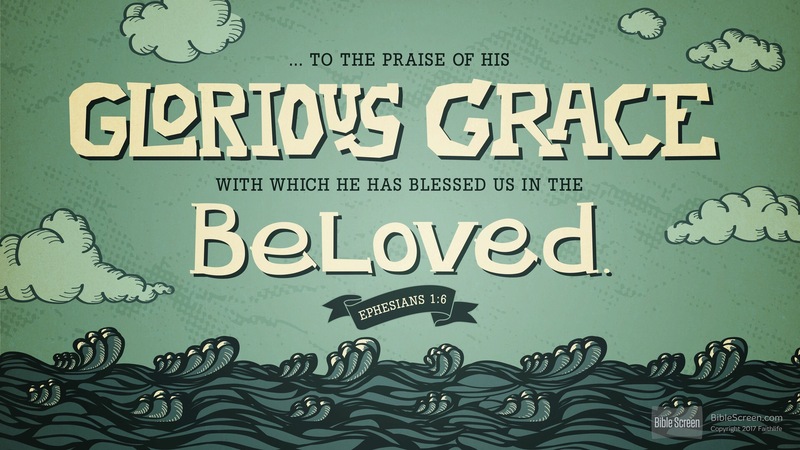 That is why Paul could say He “﻿has blessed us with every spiritual blessing in the heavenly places in Christ﻿” (﻿Eph. 1:3﻿). Every Christian is God’s beloved child because the Lord Jesus Christ has become our Redeemer. The Old Testament concept of a kinsman–redeemer set forth three qualifications: he had to be related to the one needing redemption, able to pay the price, and willing to do so. The Lord Jesus perfectly met these requirements. Charitoō (freely bestowed) is from charis (grace, ﻿v.﻿ ﻿6a﻿), and therefore Paul is saying that God has graced us with His grace. Christians are those who have been graced by God. In chapter 2 Paul reminds us of what we were like when God so graciously redeemed us. We “﻿were dead in [our] trespasses and sins﻿”; we “﻿walked according to the course of this world, according to the prince of the power of the air﻿”; we “﻿lived in the lusts of our flesh, indulging the desires of the flesh and of the mind, and were by nature children of wrath﻿”; and we were without “﻿hope and without God in the world﻿” (vv. ﻿1–3﻿, ﻿12﻿). In chapter 4 he reminds us that we formerly walked in futility of mind, “﻿darkened in [our] understanding, excluded from the life of God,﻿” because of ignorance and hardness of heart (vv. ﻿17–18﻿). Those are the kinds of people (the only kind who exist) that God chose to redeem. It is of course because men are like that that they need redemption. Good men would not need a Redeemer. That is why Christ “﻿gave Himself for us, that He might redeem us from every lawless deed and purify for Himself a people for His own possession, zealous for good deeds﻿” (﻿Titus 2:14﻿). Until a person realizes his need for redemption, however, he sees no need for a Redeemer. Until he recognizes that he is hopelessly enslaved to sin, he will not seek release from it. But when he does, he will be freed from the curse of sin, placed in Christ’s Body, and blessed with His every spiritual blessing. This entry was posted in Daily Devotional Guide, Verse of the day on February 16, 2017 by Truth2Freedom. According to today’s verse, you cannot even commune with God, let alone grow spiritually, if you are harboring sin. That’s why confession is so vital. You must first be willing to accept God’s chastening for your sin. If you think He is being too rough, you should examine your life to see if you deserve it. For the same reason parents must provide consequences for a child’s misbehavior, God chastens you so that you don’t repeat your mistakes. God also has placed a system of guilt in you for your own good. Spiritual life without guilt would be like physical life without pain. Guilt is a defense mechanism; it’s like an alarm that goes off to lead you to confession when you sin. That’s when you need to confront your sin and acknowledge to God that it is an affront to Him. That admission must be a part of your life before you can ever grow spiritually, because it eliminates the sin that holds you back. Since God knows all things, He knows our struggles and will help us through them. It’s comforting to know that in the vastness of the universe, I’m not lost in insignificance; God knows me personally. Have you ever wondered if He knows you’re there? Some godly people in Malachi’s time wondered that. Malachi spoke words of judgment against the wicked, but the faithful believers feared that God might forget them and that they too would be consumed by God’s wrath. “Then those who feared the Lord spoke to one another, and the Lord gave attention and heard it, and a book of remembrance was written before Him for those who fear the Lord and who esteem His name. ‘And they will be Mine,’ says the Lord of hosts, ‘on the day that I prepare My own possession, and I will spare them as a man spares his own son who serves him’ ” (Mal. 3:16–17). God has a book, and He doesn’t forget who belongs in it. I know that God knows me and that I belong to Him. David, too, found comfort in God’s omniscience. He said, “Thou hast taken account of my wanderings; put my tears in Thy bottle; are they not in Thy book?” (Ps. 56:8). It was customary for hired mourners at funerals in David’s time to catch their tears in a bottle, perhaps to prove they earned their money. David knew that none of his trials went unnoticed by God. Not only does He know about them, He cares about them too. You might be frustrated sometimes in your Christian walk as you see sin in your life. But happily for us, God knows that we still love Him in spite of our failings. In John 21, Peter kept trying to convince Christ that he loved Him, although his words and actions didn’t always prove it. Finally Peter said, “Lord, You know all things; You know that I love You” (v. 17). Peter appealed to the Lord’s omniscience. We can do the same thing when we stumble. Suggestions for Prayer: Thank God for knowing and caring about your struggles. For Further Study: Read Job 42:1–6. What did Job acknowledge about God? ✧ What did that lead him to do? The inability of the human mind to know God in a true and final sense is taken for granted throughout the Bible…. God’s nature is of another kind from anything with which the mind is acquainted; hence when the mind attempts to find out God it is confronted by obscurity. It is surrounded with mystery and blinded by the light no man can approach unto…. The Spirit of God is able to make the spirit of man know and experience the awful mystery of God’s essential being. It should be noted that the Spirit reveals God to the spirit of man, not to his intellect merely. The intellect can know God’s attributes because these constitute that body of truth that can be known about God. The knowledge of God is for the spirit alone. Such knowledge comes not by intellection but by intuition. What Did Jesus Mean by Mourning? If you have spiritual poverty and true humility, they will lead you to godly sorrow. That’s what Jesus meant by “mourn” here in this second beatitude. Paul told the Corinthians about this kind of sorrow: “For the sorrow that is according to the will of God produces a repentance without regret, leading to salvation, but the sorrow of the world produces death. 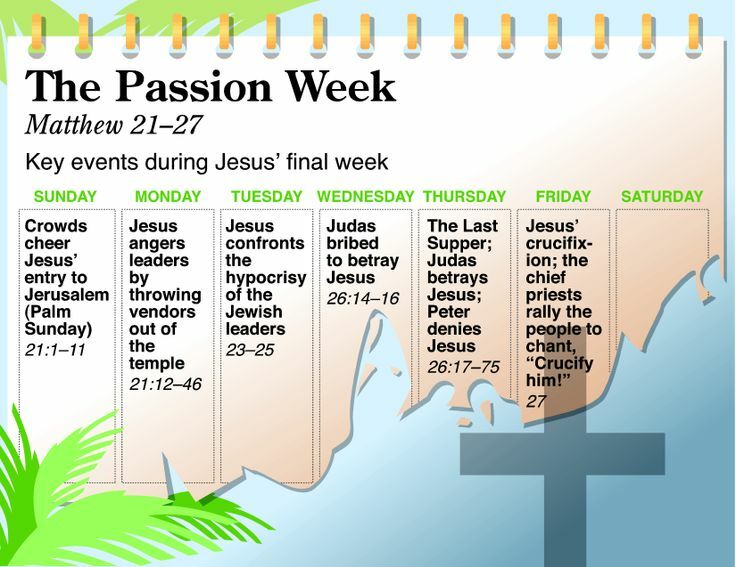 For behold what earnestness this very thing, this godly sorrow, has produced in you” (2 Cor. 7:10–11). Of the nine different New Testament words that indicate the commonness of human sorrow, the one Matthew used here is the most severe. Usually it was used only to denote the grieving over the death of a loved one (cf. Mark 16:10; Rev. 18:11, 15). It conveys the notion of deep, inner agony that is not necessarily expressed by outward weeping or wailing. Yet genuine, biblical mourning produces results that are surprisingly wonderful because God does something tangible in response to it—the forgiveness of your sins—a holy infusion of real happiness that breathes into you a sigh of relief. Therefore, this is not simply a psychological or an emotional experience that makes you feel better. No, this mourning is met by blessedness. Genuine spiritual mourning invites communion with the true God, to which He responds with an objective reality—the reality of forgiveness that David knew: “How blessed is he whose transgression is forgiven, whose sin is covered! How blessed is the man to whom the Lord does not impute iniquity, and in whose spirit there is no deceit!” (Ps. 32:1–2). When was the last time the gravity of your sins fell around you, burying you under its full weight? If it’s been awhile, you’re missing out on the sweet awareness of God’s forgiveness. That…he might gather together in one all things in Christ…in heaven, and…on earth. We trust the Word of God—and the inspired revelation makes it plain to the believing Christian that all things in the universe have derived their form from Christ, the eternal Son! We are assured that even as an architect builder gathers the necessary materials needed to fashion the structure he has designed, so God will ultimately gather all things together under one head, even Christ (see Ephesians 1:9–10). Everything in the universe has received its meaning by the power of His Word; each has maintained its place and order through Him. Jesus Christ is God creating! Jesus Christ is God redeeming! Jesus Christ is God completing and harmonizing! Jesus Christ is God bringing together all things after the counsel of His own will! I can only hope that as we grow and mature and delight in our faith, we are beginning to gain a new appreciation of God’s great eternal purpose! Your master design of the universe is perfect even though mankind has neglected Your creation and Your desire for fellowship. I pray that by Your Spirit our churches will become “like a mighty army” and help lead many people in the world to faith in Christ. Your love for God brings Him joy. Repentance, faith, prayer, and righteous living all please God because they are expressions of love. That’s the overarching principle. Whenever you express your love to Him—whether by words of praise or by acts of obedience—you bring Him joy. Suggestions for Prayer: Thank God for the privilege of bringing Him joy. ✧ Thank Him for His grace, which enables you to love Him and to express your love in repentance, faith, prayer, and righteous living (cf. 1 John 4:19). For Further Study: Read 1 Kings 3:3–15. ✧ What did Solomon request of God? ✧ What was God’s response? This prayer is theologically sound because it acknowledges the priority of God in the universe. Whatever new thing anyone discovers is already old, for it is but the present expression of a previous thought of God. The idea of the thing precedes the thing itself; and when things raise thoughts in the thinker’s mind these are the ancient thoughts of God, however imperfectly understood. Should an atheist, for instance, state that two times two equals four, he would be stating a truth and thinking God’s thoughts after Him, even though he might deny that God exists. In their search for facts, men have confused truths with truth. The words of Christ, “Ye shall know the truth and the truth shall make you free,” have been wrenched from their context and used to stir people to the expectation of being made “free” by knowledge. Certainly this is not what Christ had in mind when He uttered the words. It is the Son who is the Truth that makes men free. Not facts, not scientific knowledge, but eternal Truth delivers men, and that eternal Truth became flesh to dwell among us! MacArthur, J. (2001). Truth for today : a daily touch of God’s grace (p. 59). Nashville, Tenn.: J. Countryman. MacArthur, J. (2008). Daily readings from the life of Christ (p. 55). Chicago: Moody Publishers. MacArthur, J. F., Jr. (1993). Drawing Near—Daily Readings for a Deeper Faith (p. 59). Wheaton, IL: Crossway Books. This entry was posted in Daily Devotional Guide on February 16, 2017 by Truth2Freedom. Leaving the NAR Church: Jared’s Story. This entry was posted in Reblogged Guest Post on February 16, 2017 by Truth2Freedom.